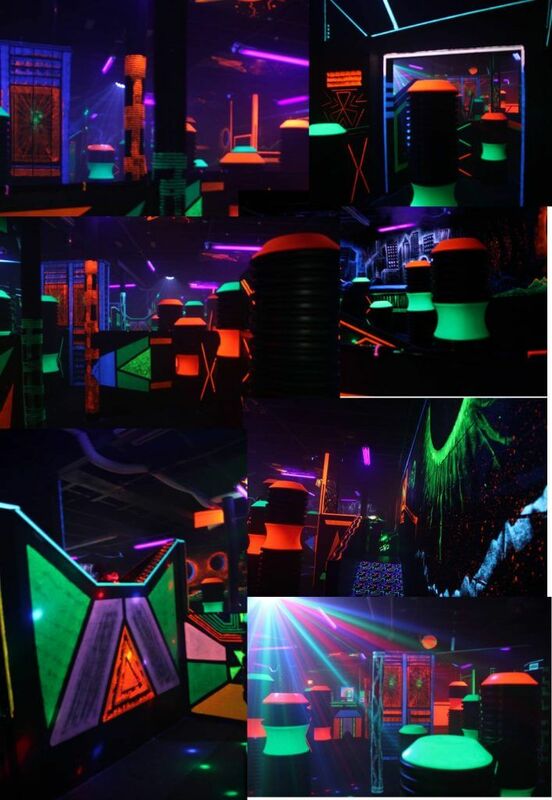 Enter a New Dimension: Laser Tag at FunQuest! With “Fun” in our name, we have to make sure that we keep delivering the most fun in the Lynchburg, VA. To keep the fun times going strong, FunQuest has made our laser tag center New, Bigger and Multi-leveled! It will be fun for all ages; young and ‘not-so-young’ alike. Join our Laser Force as we transport you to our Galactic Arena in the 22nd century! It’s dark, smoke swirls, the music pounds, then suddenly you are spotted! A beam of light cuts through space… you race for cover! You’ve entered a new dimension of hi-tech entertainment. Our large intergalactic arena allows up to 20 players to interact with each other. We are Lynchburg’s largest indoor galactic arena. Never played laser tag before? We are sure you’ll be a pro in no time. There are no video screens, or joy sticks…YOU WEAR THE EQUIPMENT! Our facility is equipped with state of the art sound, obstacles, and laser equipment. YOU ARE THE GAME!